Ask Project CBD | Why Does the Cannabis Plant Produce Cannabinoids? We answer a question from a reader about the evolutionary reason that Cannabis produces its cannabinoid compounds. Why Do Cannabis Plants Make Cannabinoids? Q: Why does cannabis make cannabinoids? What does the plant use them for? And is this good for other (non-cannabis) plants? A: There are several ecological reasons why cannabis produces cannabinoids. The plant is evolutionarily older than the human species, so interestingly enough, nature did not put it on Earth to get people high. A more complete explanation on the ecological reasons for cannabinoid production can be found in the article Taming THC by Dr. Ethan Russo. Why does cannabis produce cannabinoids? It may be that the cannabinoids protect the plant from ultraviolet radiation that could damage its DNA as the plant attempts to reproduce. Both THC-A (tetrahydrocannabinolic acid-the acid form of THC that the plant produces) and CBG-A (cannabigerolic acid, its precursor) have insecticidal properties. 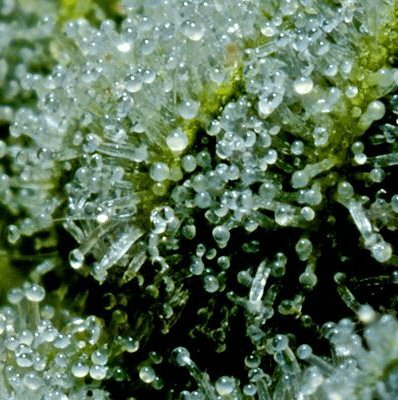 That, as well as the stickiness of resinous cannabis trichomes, forms a double defense against predatory bugs. Cannabinoids are not good for other plants. They have herbicidal properties that are responsible for pruning the lower cannabis leaves as it matures, so that the plant is able to devote more energy to fertilization and producing seeds for the next generation. Contact Project CBD with your questions.